Don’t miss the opportunity to meet our adorable spring time babies, follow the Easter Trail to a chocolatey treat or create some gorgeous themed crafts. 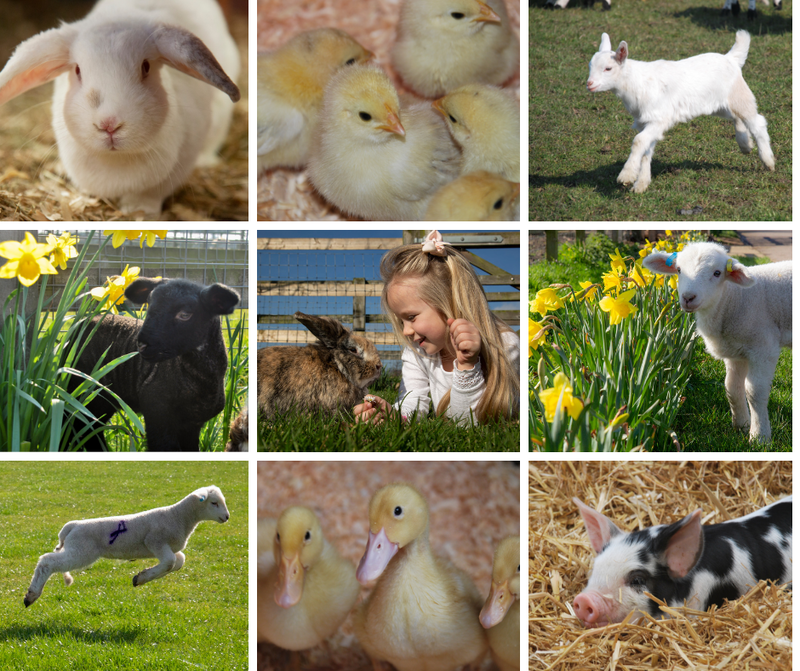 There’s lots of Easter fun to be had by the whole family at Barleylands Farm Park this Easter half term 6th – 22nd April. All of your Easter favorites will be waiting in abundance. At the Hatching Station you may catch a glimpse of a little duckling move inside it’s shell, even see a chick hatch before your eyes. They’ll be plenty of opportunity to meet and hold these cute and fluffy arrivals. The Animal Barn will be home to our piglets and baby lambs, where your help to bottle feed these little springy additions will be needed. Our friendly farmers will be on hand to answer all your questions, offering daily talks and meet and greet opportunities. Your knowledge of farmyard animals will help you complete our Easter Trail around the Farm Park and Village. You’ll be rewarded with tasty chocolatey treats; just find the clues and solve the riddles, it’s so much fun the whole family will want to get involved. Farmyard adventures continue with animal feeding, indoor and outdoor play including the popular bouncy pillow, Birds of Prey flying displays, tractor rides, visiting the Reptile House and bird Aviary. We have so many activities to fill the day, and best of all everything is included in the price! Book your tickets now to save 10%!